Okay, right now you’re probably wondering if the headline of this article is a joke, and why your valuable time should be spent reading an article on bankruptcy that isn’t serious. Except the headline is not a joke, and I am being serious. Banks don’t think like you and I do, and eliminating debts through bankruptcy can actually make it easier to obtain credit in the future. You can probably assume that filing bankruptcy likely harms your credit score in the short term. (I say “likely” because the formula used by Fair Isaac to determine your credit score is more secret even than the formula for Coca-Cola, so nobody can say for sure.) However, let’s look at an example so you can see what I’m talking about over the long term. Let’s say you have $50,000 in credit card debt as a result of a long period of unemployment. Although you’re working again, your household budget simply won’t allow you to pay both your living expenses and the monthly minimum payments on your credit cards. You’re holding your financial house of cards together only through unusual sacrifices and occasional borrowing from friends and family. Like everyone else, you don’t want to file bankruptcy because you believe in paying your debts. But what if you did file bankruptcy? 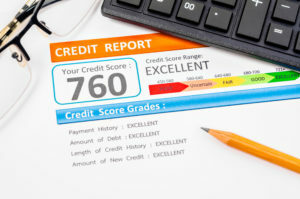 Would it hurt your credit, or could it actually help you obtain credit later on? Let’s say that you don’t file bankruptcy, and the $50,000 in credit card debt just sits there for years, with the balances declining hardly at all — or maybe the balances even increase over time. With this approach, obtaining a mortgage or any other type of normal credit might well prove impossible, until the debts are fully or substantially paid off. Now, instead, let’s say that you file bankruptcy and the court discharges the $50,000 you owe on the credit cards. This may hurt your credit for a year or two, but during this time you can be living within your means on a household budget that actually works — a budget that isn’t skewed by the need to send a large chunk of money you don’t have to credit card monthly payments. And there’s a good chance that since you don’t have any debts, now banks will lend you money on normal credit terms, such as for a mortgage or other necessary types of credit. This is how bankruptcy can help you improve your credit score: by removing debt that otherwise would stay with you for years, debt that would prevent you from obtaining normal types of credit at normal rates of interest. By removing the debt, you remove the reason why you can’t get normal types of credit, like a mortgage. Once a couple of years have passed by since the bankruptcy filing, persons with stable incomes find that banks are eager to lend to them without regard to the bankruptcy. Obviously, the above example doesn’t hold true for everyone. Some people can pay down debt quickly and don’t need to consider bankruptcy. If, however, you have overwhelming debt that can’t be brought under control within a reasonable time, concerns about the impact of a bankruptcy on future creditworthiness probably are misplaced.